Anna Jeanette Blackwell was born September 16, 1923 in Port Huron, Michigan. She was the third of seven children of William Ruel Hanshaw and Vera B. McDermott. Her mother died giving birth to her eighth sibling. In her later years, Anna frequently recounted what a significant impact her mother’s passing had on her formative years. In 1940, she met and married Norman W. Blackwell—a Master Sargent in the Army Air Corps. To this union, three children were born, Carol Ann, Janet Sue and Gary Richard. Because of Master Sargent Blackwell’s military commitment, Anna resided with her in-laws during the early years of her marriage. It was because of Norman’s parents’ influences that Anna came to know and accept Jesus Christ as her Savior. She remained a devoted Christian until her passing. As the wife of a military officer, Anna developed amazing skills in organizational management. Her accomplishments as a homemaker cannot be overstated. She was responsible for relocating her family over 30 times to billets throughout the United States and South Africa—including Fairbanks, Alaska and Pretoria, South Africa. As a result of these travels, her family gained lifelong experiences and memories unafforded many traditional families. After retiring from service, Anna and Norman initially settled in Leigh Acres, Florida, but decided to move to Pismo Beach to be closer to their children and their families who lived in Southern California. Even though Norman passed in 1989, Anna continued to resided in Pismo Beach for almost 28 years. She was an active member of her church for over 30 years! Her hobbies included sewing, knitting, crocheting , music, gardening, as well as other handy crafts. She had a great appreciation for art and fashion—similar admirations she imparted to her children. In 2016, Anna moved into the Vista Del Mar Senior Center in Long Beach to be closer to her family. She derived great joy from being minutes away from her son and granddaughter. She and Gary would frequently watch special television shows together, went to the beach to watch a sunset or visited one of her favorite restaurants. 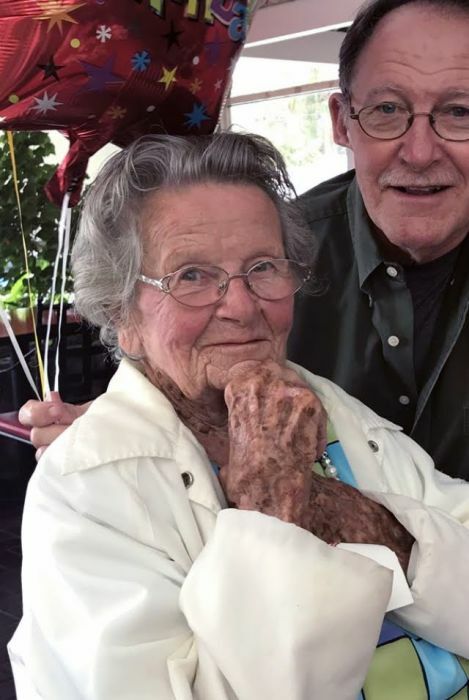 She passed peacefully and calmly on April 7, 2019 in her suite at Vista Del Mar. Anna was an amazing 95 years old. Anna was preceded in death by her husband, Norman; her daughter, Carol; five of her siblings, Margaret, Billy, Donna, Kenny and Wanda and both parents. Left with precious memories are her two children, Gary Richard Blackwell of Signal Hill, CA and Janet Sue Brown of Orange, CA; a loving sister, Lois Revitzer of Ocala, FL; four grandchildren, Dr. Maylei Blackwell of Long Beach, CA, Gary Brown of Garden Grove, CA, Wendy Hass of Orange, CA and James Beasley of South Carolina; six great grandchildren and a multitude of other relatives and friends.